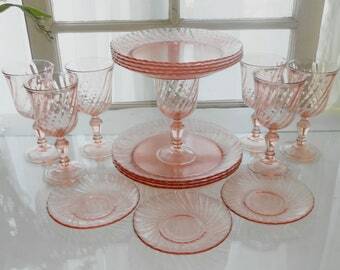 Vintage French pink glass sundae dish. Luminarc 1960 salmon pink swirled glass. French vintage pink glass dessert dishes. Swirled glass, salmon pink ice-cream coupes.